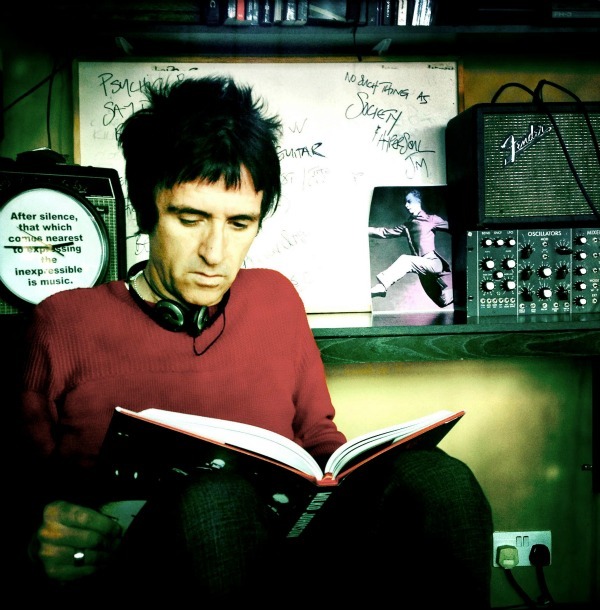 Since quitting The Smiths in 1987, guitarist Johnny Marr has played with a wide variety of acts, from Talking Heads and The The to Electronic, Modest Mouse, The Cribs and even his own short-lived band, Johnny Marr + The Healers. Early next year, though, he’ll finally release his first proper album under his own name. In interviews this week with the NME and The Sun, Marr revealed that his long-gestating solo debut will be called The Messenger and is due out sometime next February, following a tour in January. Marr also is set to join Dinosaur Jr in New York this December to help celebrate the 25th anniversary of that band’s classic album You’re Living All Over Me. As for his former partner Morrissey, we’re still waiting for the remainder of his U.S. tour to be rescheduled. Tentatively looking forward to this. Loved everything he wrote in The Smiths and he did some great work with Modest Mouse but everything else he has done has been pretty bad. And by calling this his solo ‘debut’ does he indicate a wish to ignore the existence of Johnny Marr & The Healers? I realize he started that band with mates from other established bands however, he wrote all the songs and sang. Hope this is good! At the risk of sounding rude, you’re a silly boy. He’s done so, so much–film soundtracks, one-offs, serious work w/ the Cribs & Oasis & The Finn Brothers (and he was on Portlandia) but just off the top of my pretty red head: the first Electronic album is brilliant–one of the best of the 90s. F@*K YEAH! Been waiting on this one.